I can remember a time in my life when I loved to grocery shop. But that time was a little long while ago, during my first and second year of college, and it looked a little like this; Being single and young, with a bit of money and a bit of time, I would sit in my chair (I now imagine that it was a chaise lounge) and take a leisurely peruse of glossy food magazines. As I browsed the pages, I would invent some enchanting and entirely frivolous meal. With my discretionary time, I would then go to the grocery store (one of the fancy ones) and take a long, languid stroll through exotic produce and pasta, wandering happily as if it were some kind of spa experience. 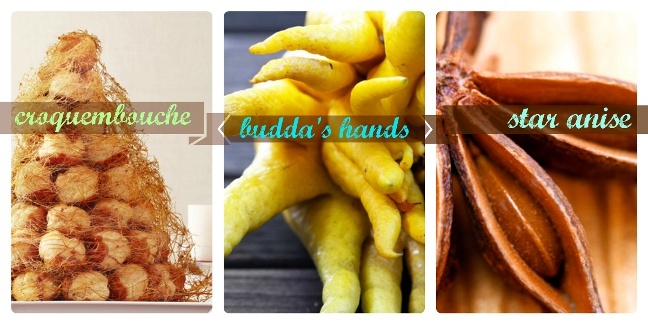 Budda’s Hands? Sure, I’ll try that! Star anise? I have no idea how to use it, but why not? Croquembouche from scratch? I think so. And then, I went home and made my ridiculous meal, which I ate and then? Then I left the dishes for morning. I might cook again in the next week or I might just munch on home- made hummus, carrot sticks and PBJ. Pretty much whatever I felt like, which is why grocery shopping and cooking was fun; because it was optional. Enter my family and the million things I now do in a week. Now, the family has to be fed. Every day. Gone is optional. Gone is frivolous. Gone is the chaise lounge. And so, for these reasons, grocery shopping is less spa-like and more time-sucking-chore-like. And while I wouldn’t trade what I have now for all the chaises in the world, I am open to options. This brings me to the online grocery shopping experience, where you can do all of your shopping from the comfort of some comfortable chaise lounge chair in your own home. Can you even imagine? Selecting whatever it is your family needs from toilet paper to bananas and the nice grocery people will deliver those groceries to you? Right. To. Your. House. (I think you still have to put them away, although who knows what a really big tip might buy?) It’s as close as I’ve come to returning to the chaise lounge, which now, if I’m honest is a magical fluffy brown recliner. But the spirit is the same. Green B.E.A.N. is a food company that aims to build sustainable, affordable and accessible home-grown food that can be served to people all across the Midwest. B.E.A.N. is the acronym for the company’s principles which are Biodynamic, Education, Agriculture, and Nutrition. Green B.E.A.N. provides an online service that delivers fresh fruits and vegetables from local farms in the Midwest area as well as groceries and specialty items from artisans. All of the food offered on the website is free of additives and preservatives to ensure that they are fresh and healthy for all customers. The website offers five different food ‘bins’ to choose from which vary in size depending on how many people you are ordering for. Peapod is a pioneer in grocery home deliveries having first started in 1989 as a family run online service and turning into one of the largest Internet grocery stores in the country. The business has expanded to 24 different U.S. markets and orders are taken up to two weeks in advance. The online service delivers almost everything you could need from the usual grocery store with over 12,000 products in their inventory. From beauty and healthcare, baby food and care, to store brand items and prepared meals, you can find almost everything from Peapod’s wide array of grocery items. Orders can be sent within a two-hour window that is chosen by the customer. Hello Fresh has a unique take on the online grocery delivery business. The website lets customers choose from a number of simple recipes that anyone can do at home and shop for the ingredients of the recipe that was chosen. Delivery is free and each recipe only takes 30 minutes to prepare. Recipes are changed every week to add variety to the shoppers’ diets. The service chooses only the highest quality and freshest ingredients from local farms and businesses. ust like the Hello Fresh’s recipes, their suppliers also change on a daily basis to keep up with their ever expanding user base and to help out different local businesses. So the next time you’re facing your hungry horde and a dwindling pantry, hop into your magic chaise, fire up your mobile, laptop or tablet and call in the grocery cavalry. You'll be glad you did!